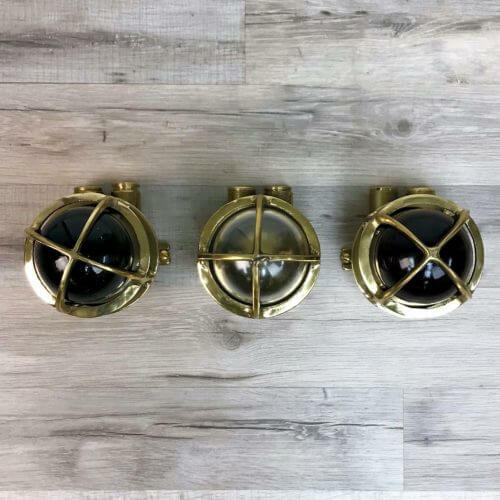 This set of three small antique brass Wiska navigation ceiling lights measure 7 inches tall by 4 1/2 inches wide. There is one red, one clear, and one green globe in this set. The globes are in great shape with only a few minor scratches. 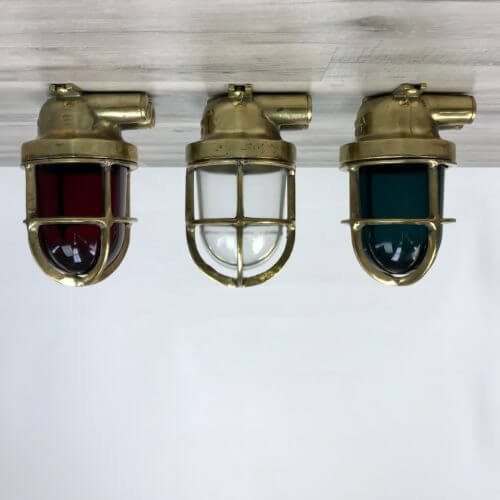 Navigation lights alert other vessels of your positioning. The red indicates portside of a boat. 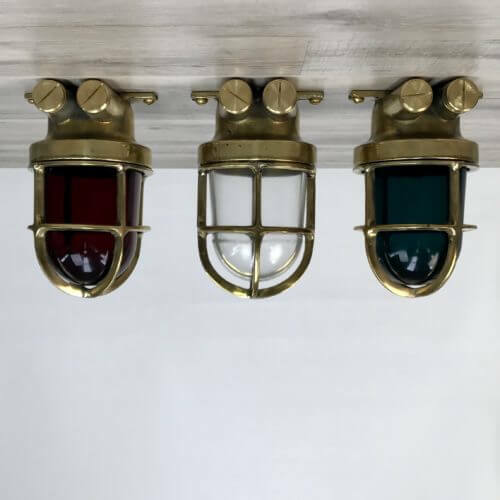 The green light indicates starboard side. The white is seen from all angles typically mounted on the stern. They have two mount lugs which will require a mounting space about 4 1/2 inches wide. The original conduit opening in front has had a brass plug installed. 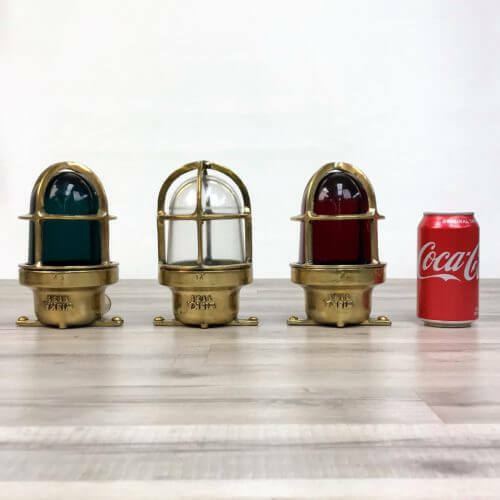 Each light weighs about 3 pounds. The lights have been rewired with UL-Listed parts rated for up to 250 volts. The globe and cage unscrew to access the bulb area. A medium base bulb of 60 watts or less will work great in this light. 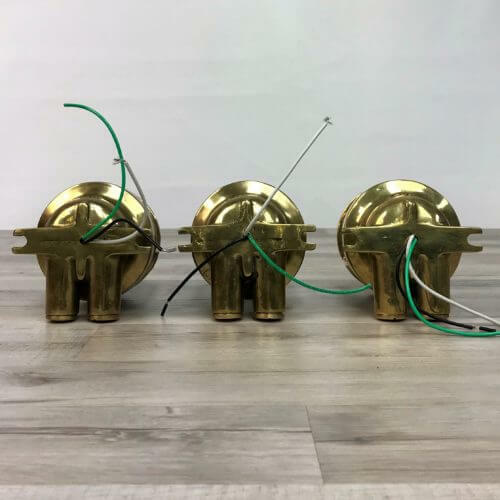 The lights may need one of our 6 inch brass adapter plates for an additional $20 each. The plate helps cover the junction box opening in the ceiling. 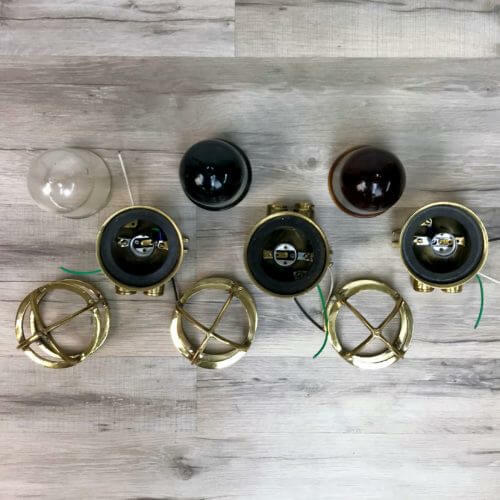 Order the plate and light and we will install the plate at no additional charge. 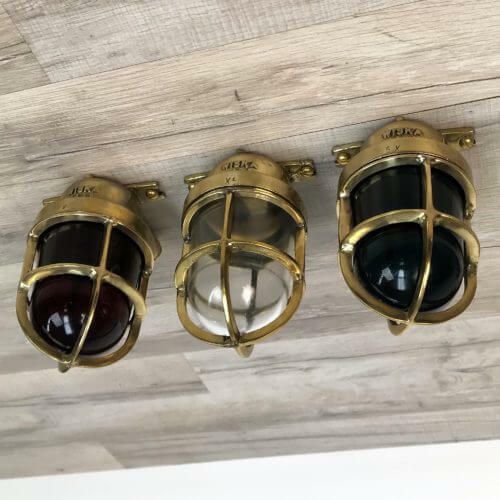 You will be shipped the small wiska nautical ceiling lights shown in the photos because, we take new photos for each listing. 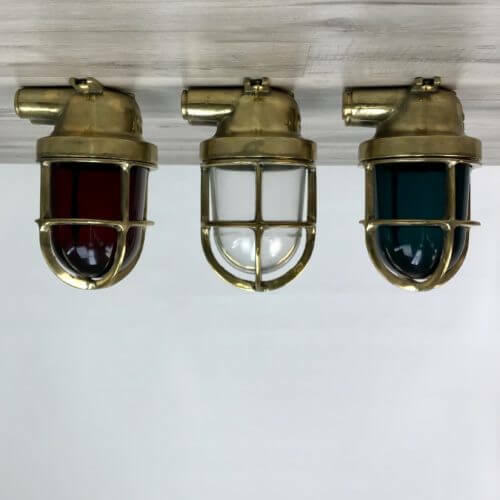 You will be shipped the three small brass marine wall lights shown in the photos.